Stop painting in the open air! Boats and marine equipment need constant attention and rejuvenation to keep them clean and prevent rust. 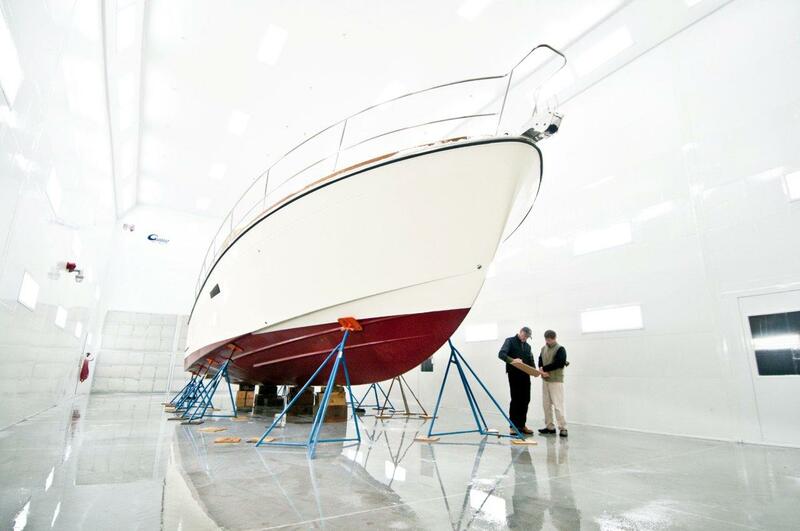 If you need to paint boats or Marine equipment but want a quality finish, you need a large booth. Not every booth manufacturer is capable of providing you with a booth that can accommodate your needs and still provide the airflow, lighting, options and service that you desire. You need a custom solution, and Garmat can build you one! Let our engineers work with you directly to develop a custom paint booth solution to meet your exact needs. Getting started is as simple as filling out the form below to start the conversation.